Design the most inexpensive makeover possible by rearranging and repurposing what you already own! 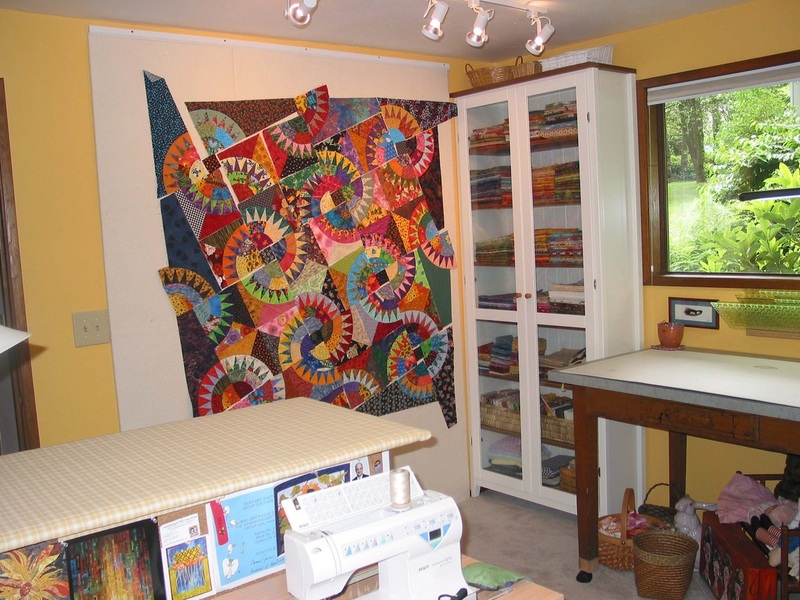 You will learn the basics of quilt studio design and conquer individual studio challenges. Each student brings her measurements and photographs to share with the class. All aspects of studio design are covered from ergonomics to storage solutions customized to the needs and style of the quilter. 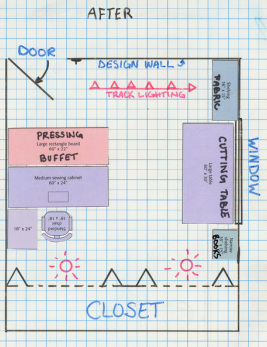 Students walk away with their studio layouts along with recommendations for furniture and storage solutions. Studio photos will be shared with classmates and specific problem areas discussed as time permits. Do It Yourself with the help of a professional and the support of your fellow quilters! Save $20 if you sign up for both follow-on classes at once! !